Many iPhone users love to use the Voice Memo app to record someone's voice, favorite songs, and even important meetings in daily life. However, it is also easy to be deleted or lost due to some mistake operation and stolen or lost your iOS devices. When you accidentally delete a voice memo, you should firstly check the iTunes library and to see if it is still here. If not, you will need the help of some iPhone voice memos recovery. If you're feeling confused and looking for solutions to recover deleted voice memos on iPhone, this guide is right for you. In this article, we will introduce 2 methods to recover lost or deleted Voice Memos on iPhone. Read on to learn solutions below. When you lost your voice memos because of device stolen, device formatting, iOS update or some other reasons, you just need to get a data recovery application to help you. EaseFab iPhone Data Recovery is one of the best data recovery program which allows you to extract and preview iTunes/iCloud backup data of your device and selectively recover your voice memos. 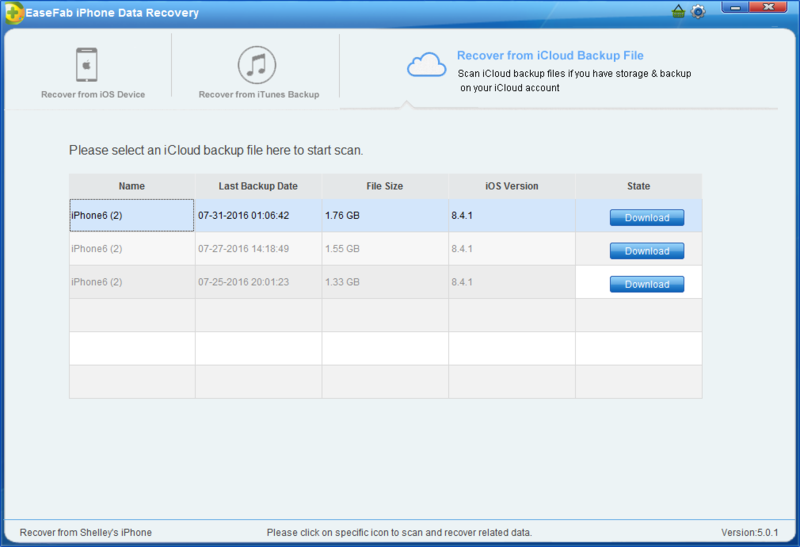 This iOS data recovery software applies to many versions of iOS devices including iPhone 7/6 Plus / 6s/ 6s Plus/ 6/ 6 Plus, iPad Pro/ Air 2/ mini 4, etc. Besides voice memos, it also can recover contacts, call history, messages, notes, reminders, calendars and more file types from iDevice directly or iTunes, iCloud backup files. If you want to retrieve iPhone voice memos on Mac (macOS Sierra included), you can get EaseFab iPhone Data Recovery for Mac. Now read the tutorial below to know how to restore voice memos. 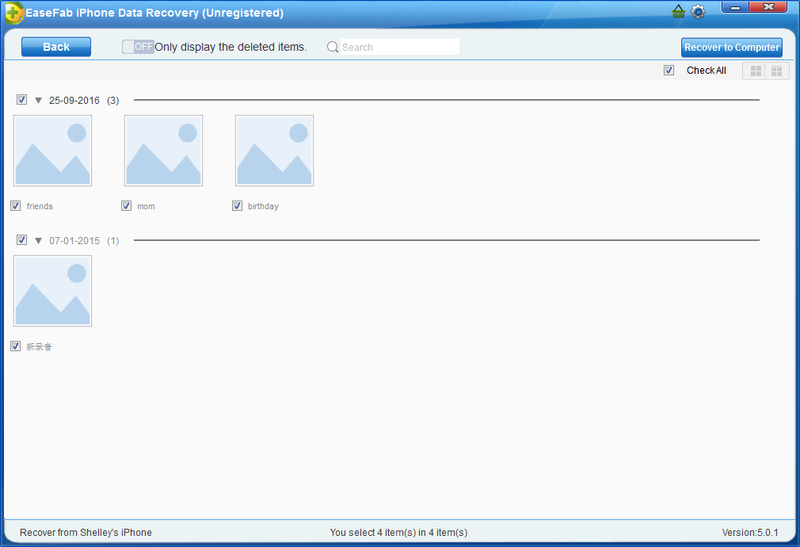 A few seconds later, all the contents in your backup file will be extracted and listed in categories. Select "Voice Memos" and check those M4A files. Mark voice memos you want to recover and hit on "Recover to Computer" to save them all on your computer. And a window will pop up for you to choose the type of files you would like to download. 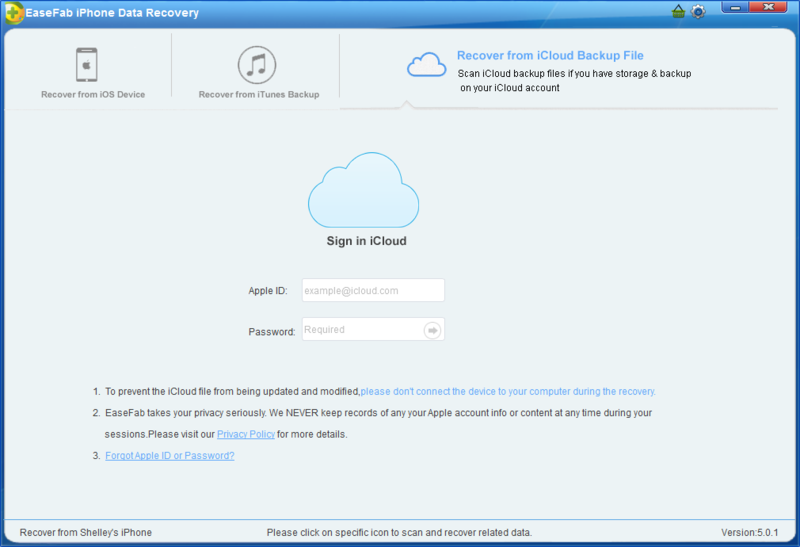 This will reduce the time of downloading the iCloud backup file. After finishing the downloading, you will be presented with the interface asking you choose data to recover. 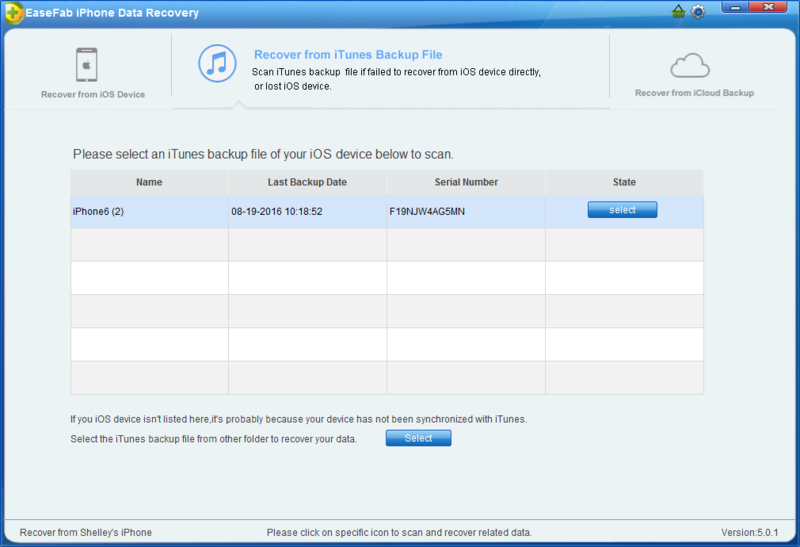 In this way, you can selectively recover whatever data as you need. Here you select "Voice Memos". It will take some time for EaseFab iPhone Data Recovery to scan and analyze the data, please wait for a while with patience. Once it stops, you can preview Voice Memos data and hit on "Recover to Computer" to save them all on your computer. That's all. 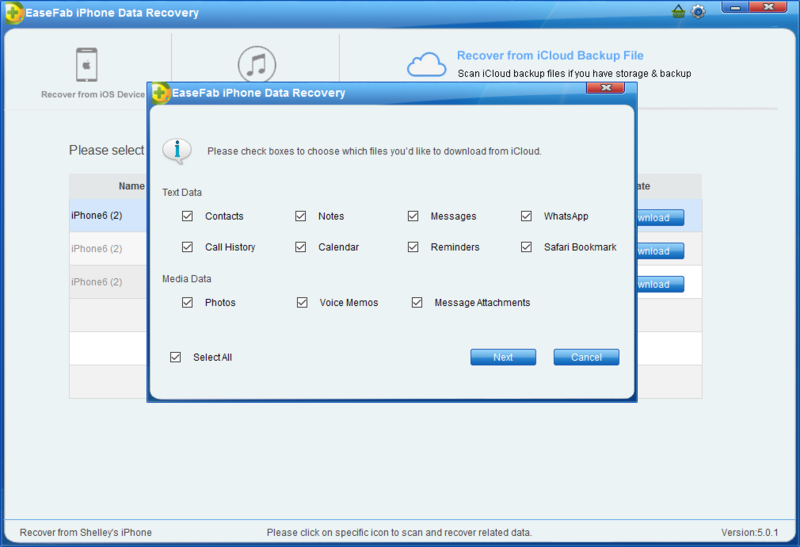 Now you have found all lost voice memos from iPhone with EaseFab iPhone Data Recovery, convenient and powerful.